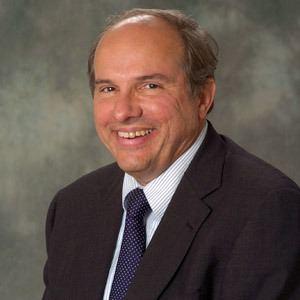 Professor Bill Freivogel became Director of the School of Journalism in 2006. He began his journalism career with the St. Louis Post-Dispatch in 1971. He was a member of the newspaper's Washington bureau for 12 years, where he served as assistant bureau chief, focused on the Supreme Court and reported on such historic events as the assassination attempt on President Reagan. He returned to St. Louis to become the deputy editorial page editor in 1997. Freivogel's editorials on former Attorney General John Ashcroft and the Constitution made him a finalist in the 2002 Pulitzer Prize competition. He also won Sigma Delta Chi's top award in 1991 for a series on the Bill of Rights, and he shared the Sidney Hillman award for a series on civil rights policy changes during the Reagan administration. Freivogel was the main contributor to a 1987 project that won the Benjamin Franklin award as the best newspaper series on the bicentennial of the Constitution. In his early years in Washington, he won the Emery A. Brownell Award for stories influential in blocking the Reagan administration's attempt to kill the Legal Services Corp. He shared the Investigative Reporters and Editors award and National Press Club's Washington correspondence award for stories on defense fraud at General Dynamics Corp. He also won a Washington correspondence award for reporting on dioxin contamination in Missouri and political machinations within the Environmental Protection Agency. Freivogel won three Connie Rosenbaum awards in the 1970s for stories that reformed the St. Louis bail bond system and cleaned up a corrupt suburban police department after a suspect was killed in police custody. He and wife Margaret, who also served in the Post-Dispatch's Washington bureau and has served as Sunday editor at the Post-Dispatch, are the parents of four adult children. Journalism, Media Law, Public Affairs and Policy.